Parking is available in the Drexel Garage, which is located on the southeast corner of 34th and Market Streets, with the vehicle entrance in the rear at 34th and Ludlow Streets. Cost is $13. Please take notice of the number of your parking space. Before exiting the garage, you can pay for parking by using one of the kiosks, where you will enter the number of the parking space. Exact cash or credit card payments are available. 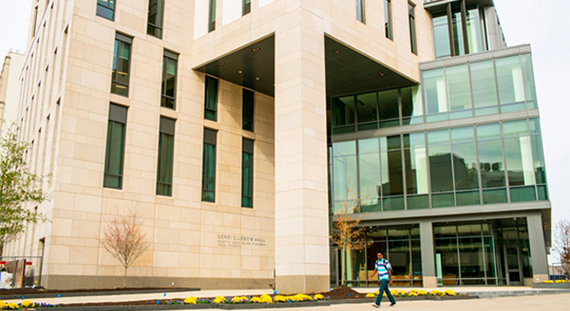 Gerri C. LeBow Hall is also easily accessible by subway, regional rail or Amtrak by arriving into 30th Street Station. Walk two blocks west on Market Street to reach 32nd and Market. Gerri C. LeBow Hall is the tall 12-story building on the south side of Market Street.